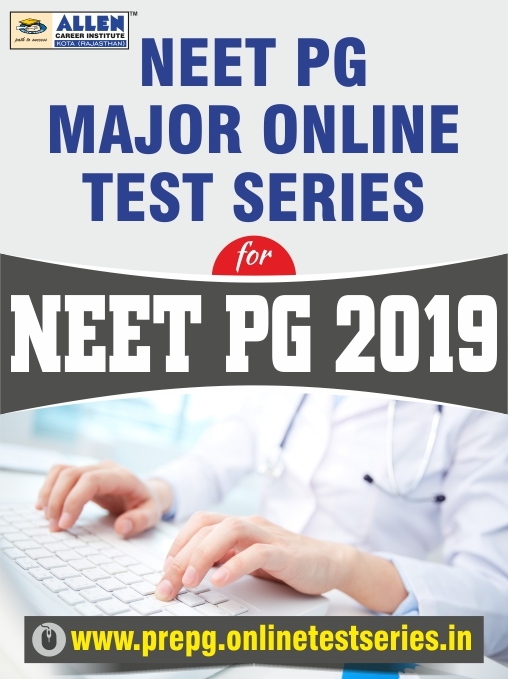 ALLEN's NEET PG Major Online Test Series for is a full syllabus test series in which every question is meticulously designed by our team of experts, based on the latest exam patterns and the difficulty level of NEET PG. We give you the most comprehensive analysis for every test you take with All India Rank (AIR) so that you can track your growth test-by-test and improve your test taking competence, which helps you in evaluating your preparation level at the last moment. Enrol now to give a final touch to your preparation with ALLEN's unbeaten NEET PG Major Online Test Series that help you to identify your strong and weak areas and get you ready methodically for the main exam. 1.Major Test Pattern(300 Questions, 1200 Marks, 210 min). 2.All Test Will be closed on 10/01/2019.